Now I am planning and preparing for my first solo trip to Spain. In one week I will be strolling the streets of Barcelona, consuming cava, and tasting tapas. I will temporarily reside in El Born/La Ribera neighborhood bordering the oldest neighborhood of Barcelona – the Gothic Quarter. Check out this post for tips on getting around in Barcelona, including airport transportation. For now I will share some of the planning I went through to make this trip happen as well as the pre-trip preparation. For tips on solo travel in general read my recent post 15 Tips for Solo Travel. When I first begin planning for a solo trip I always take a look at the travel guide books available at the library. It’s a good way to preview the books and find out which one, if any, I would like to bring with me on a trip. Sometimes I just bring one of the library books with me but occasionally I prefer to have my own copy so I can write notes and mark it up. For Barcelona I decided on the Eyewitness Travel guide Barcelona and Catalonia January 2014 edition. I used to go straight to Lonely Planet when I needed a guidebook but I’ve found there are better options a lot of the time these days. When I took my first solo trip to SE Asia over 20 years ago Lonely Planet was the guide to bring when traveling – especially when traveling solo. 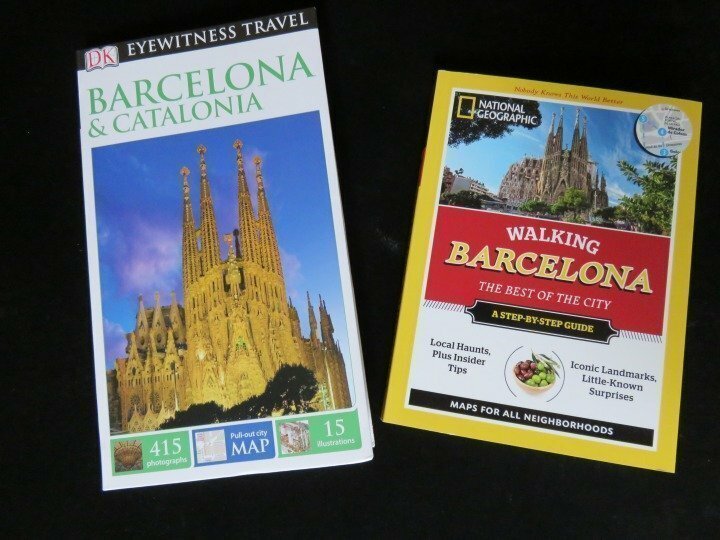 I found the National Geographic Walking Barcelona – The Best of the City guide-book (2014 edition) while perusing the shelves at Whole Earth Provisions. Normally I would not bring two travel guides with me but I enjoy walking and Barcelona is a great walking city so I decided to buy the book. I’ll review both books when I get back to let you know how I liked them. Find other Barcelona travel guides here. 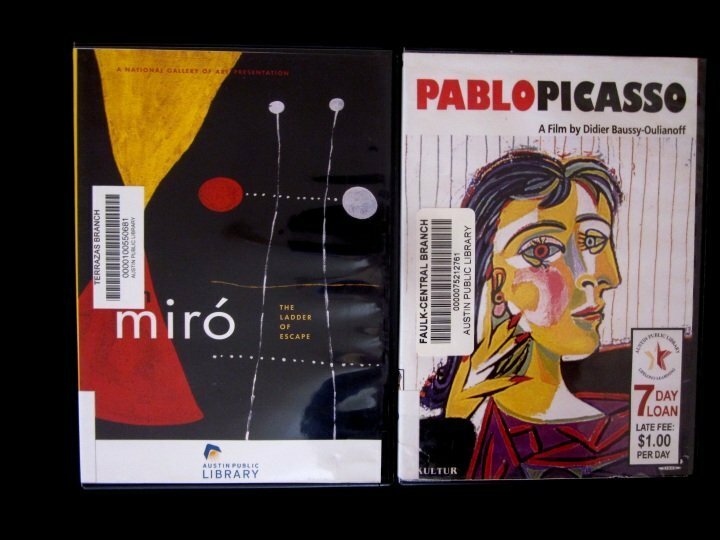 While searching the library shelves online I also found a few documentaries about the greet artists of Barcelona – Antonio Gaudi, Pablo Picasso, and Joan Miro. When preparing for a trip I like to learn about the history and culture of the location I will be traveling to and travel guides generally cover the basics. 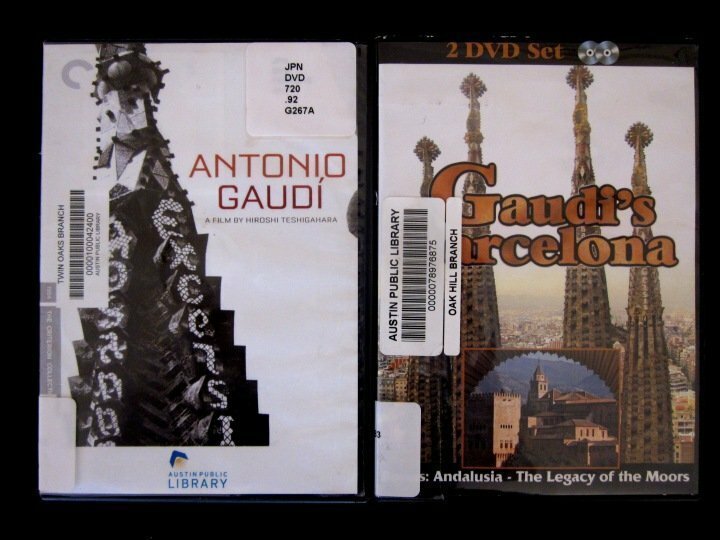 The documentaries I watch helped me learn a little more about the history and culture of Barcelona and Spain in general. Watching movies written/directed by artists from the region I’m traveling to is one of my favorite methods of picking up some of the cultural nuances of a new place. I watched many Spanish movies when I was studying the language. One of my favorite directors is Pedro Almodóvar and I’ve listed several of his films below. I booked my airfare to Barcelona in January and I thought I was going to use some of my American Airlines frequent flyer miles. I researched the flight times but when I tried to book the flight I was shocked at the $660 fuel surcharge! No way! Oh well, I ‘ll save my AA miles for trips to Canada and South America. My flight cost me $1,020.90 total including taxes but I saved a bundle on my accommodations by booking a place via AirBnB.com – which I first used in 2011 for my solo trip to Buenos Aires Argentina. I am staying in La Ribera neighborhood which is adjacent to the Gothic Quarter and El Born district so I’ll be doing plenty of walking all around the neighborhoods. The metro is a couple blocks from my location so that is convenient for visiting places like Montjuic, Magic Fountain, and Park Guell. Searching AirBnB I found a private room in a beautiful apartment for $24 per night! It’s cheaper than some of the hostels in Barcelona. I will let you know how I like it in a couple of weeks – all the reviews – more than 60 of them – on AirBnB were very positive. Searching around the internet I found some good resources from other travel blogs. Search google, Pinterest, twitter, Facebook – and you’ll find loads of information and photos of Barcelona from all sorts of people. I did some checking with friends and clients who have traveled to Barcelona before and received some tips based on their personal experiences. There are many online travel forums on sites like TripAdvisor, Lonely Planet, and FlyerTalk. People post questions, trip reports and just chat about travel. You’ll find tips about anything and everything travel related. 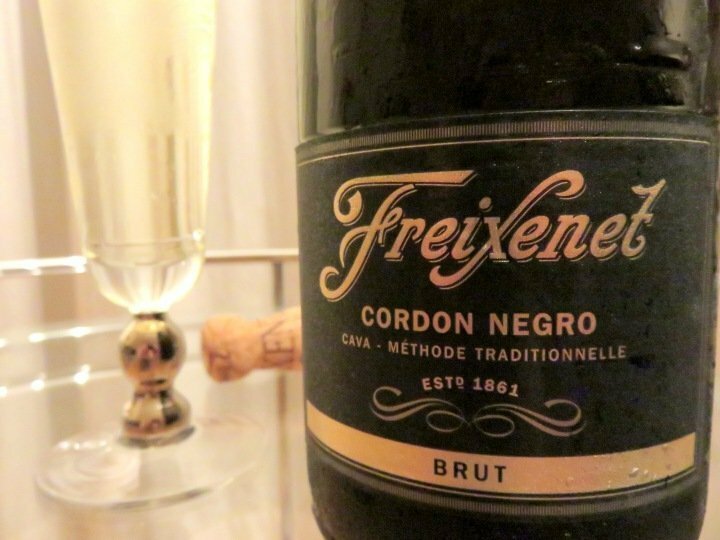 Enjoying a glass of Freixenet cava – it’s research for my solo trip to Barcelona! Preparing for my trip to Barcelona I am enjoying a glass of Freixenet cava – the sparkling wine that is made in the wine country region of Penedès less than an hour from Barcelona. What are your tips for planning and preparing for a solo trip? I’m so looking forward to checking out all the delicious food and seeing the modernisme architecture and just wandering the streets exploring the city! Hi Susan! Hope you’re having a great trip in Spain! In fact I have family there in Barcelona. I’m soooooo jealous! Hehe. Can’t wait to hear what your experience was. Hi Nela – thanks for visiting my blog! I LOVED Barcelona!!! I am back in Austin again. I stayed in La Ribera district and walked all over the city. The people were super friendly – I even had two impromptu walking tours with locals – so wonderful! I loved hiking Monserrat, the amazing architecture – especially Gaudi, and Montjuic was fabulous – the parks, swimming pools, and the NMAC – Museu Nacional d’Art de Catalunya – is free on Saturday afternoons so that was a nice surprise. I ate delicious tapas and the coffee and croissants were delicious! Hey Suzan, I found your blog as I was searching for info about travelling solo in Barcelona. This ll be my first solo trip. I am little sceptical though, because I don’t speak Spanish at all (I speak english). Do you think, this is going to be a problem? Many people in Barcelona speak English, especially around the tourist attractions so you should not have a problem. The signage for the tourist sites are in English as well as Catalan and Spanish. Barcelona is such a popular city for tourists you will likely meet other English speakers during your visit. I found the local people of Barcelona to be extraordinarily helpful and friendly so I hope you find the same. I came across your site as I am planning a short break to Barcelona in September and will be travelling alone. The information you have provided is both informative and very helpful. Thank you for sharing. Yes I did find the accommodation as expected. I did mention to the host that the bed was too soft but I did get used to it after a few days – they said they were planning to buy new mattresses soon. The place was very clean and the location was superb! I have had very good experiences booking through AirBnB so far. I always look for places with several reviews and lots of photos of the place so I have a good idea of what to expect. One other thing I look for within the reviews on AirBnB is good communication with the host. Hope you enjoy your trip to Barcelona – September should be a great time to visit! Hi Susan, the information is very handy as I am currently planning on my solo trip to Barcelona. I would like to check if it is difficult to travel around via Metro? Can the local speak English? Do you feel safe walking down the streets? In Barcelona the locals speak Catalan and Spanish, and many speak English. It’s a good idea to learn a few of the basic phrases in the local language. I always like to bring a phrase book with me when I travel to a country that I don’t speak the language. You could use the App Duolingo to learn some Spanish. Enjoy your travels to Barcelona! « Quebec City – Two days in Old Quebec and Free Cirque du Soleil show!